After running across the Kindle Direct Publishing program, and reading about how people often preferred to have a resource in one place rather than as a series of blog posts on the web, I decided to turn my Tiny House Systems series of blog posts into a Kindle eBook. While I was at it, I also updated the Heating Systems chapter to include the STEP warmfloor electric radiant heat system. An alternative to the Water Source Radiant Floor Heat is Electric Radiant heat. Essentially, this is a wire that is inefficient in conducting electricity and as such heats up. This process is known as resistance heating. Commercial greenhouses will often use this sort of resistance heating in a sand bed upon which newly planted seeds or cuttings are placed, to allow for propagation of plants in winter. It is also the same concept as the electric resistance heater mentioned above, but the heating element is insulated to protect it and adjacent materials from each other. 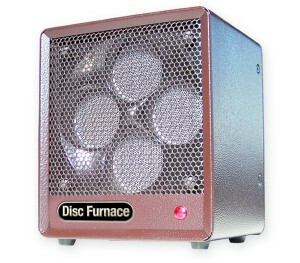 It is more efficient than the electric resistance space heater, in that the intent is to use the heating cable to warm the floor surfaces, rather than air, but a drawback is that the cable is relatively fragile, and rendered useless if broken, which can occur from an errant screw or nail, or inadvertent crimping during the install of the finished floor surface. Normally, If someone is considering underfloor radiant heat, I point them to the water source type. HOWEVER, there is one electric radiant floor heating technology that I do recommend. 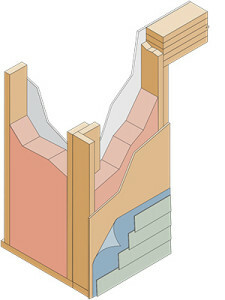 This is the STEP warmfloor system, http://www.warmfloor.com/en-us which rather than using a cable that is looped under the floor surface, uses a resistance mat that is waterproof, can be punctured / nailed/ screwed/ stapled through with no detrimental effect, and spreads out the heat more efficiently due to its larger surface area. It can be installed under pretty much any flooring surface (tile, wood, carpet, concrete) or even encapsulated in epoxy as shown below. Another benefit is that the system is 24 Volt and can be directly powered by wind or solar PV. Of Particular interest to the Tiny House market, the company offers their STEP RV product, http://www.warmfloor.com/en-us/residential-floor-heating/step-rv-heating-rv/s-motorhomes-boats-etc with a higher output wattage that the standard residential element, to help counteract the typical higher energy losses inherent in RVs. Of course, your tiny house should be better insulated than an RV, so the standard system should be perfectly adequate, but it is nice to have the option. 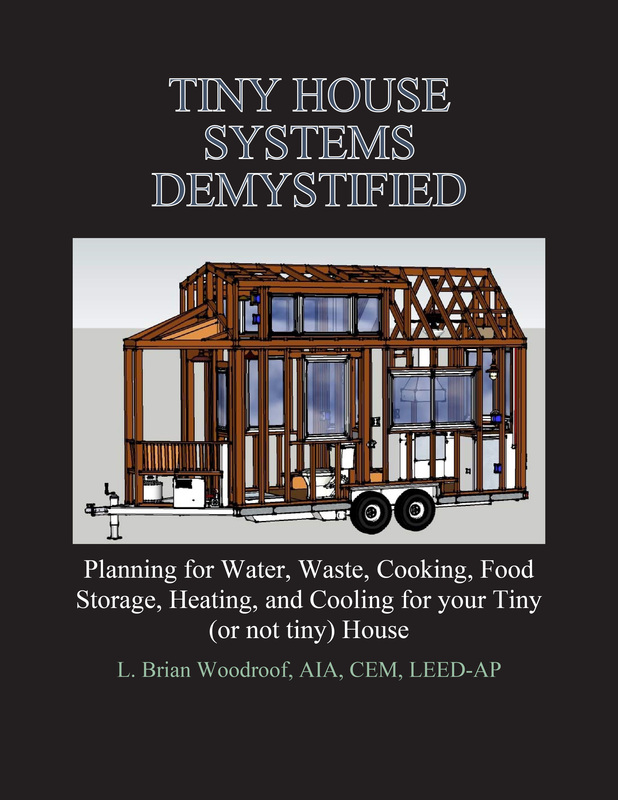 This handy guide will be an invaluable aid in deciding on and planning for how to deal with the issues of Water, Waste, Cooking, Food Storage, Heating, and Cooling a Tiny (or not so Tiny) house. It provides an overview of the systems covered with examples and illustrations, and helps you to think through what you need for the house you are designing, allowing you to best determine what will fit your individual needs. List Price: Price Too Low to Show! Click through to find out more! Life takes many twists and turns, and mine is no exception. I started this site with full intention of making a business out of designing, building and selling tiny homes. I obtain the necessary business licenses, designed a logo and printed up business cards, started on my first design, and even bought some land upon which I planned to set up a production shop. My daughter entered into this world in March of 2015, and has changed my life and priorities. I am blessed beyond all measure with a beautiful, healthy, intelligent little girl, who (rightfully so) demands attention from her parents. Watching her grow, and learn, and explore this world is a blessing. This song is a warning, not a guide. So, unfortunately, I will not be officially opening Ridge Runner Tiny Homes as a business in the near future. I am relinquishing the business license, and will not be providing designs for sale through the website. I will probably still blog at this site about Tiny Homes on occasion, and my wife and I have seriously entertained the idea of building a tiny house for ourselves, but I have a daughter to raise, and she is more important than any business could ever be. This is the fourth post delving into the various systems in a tiny house. For the others, please see the links at the bottom of the introductory post, here. 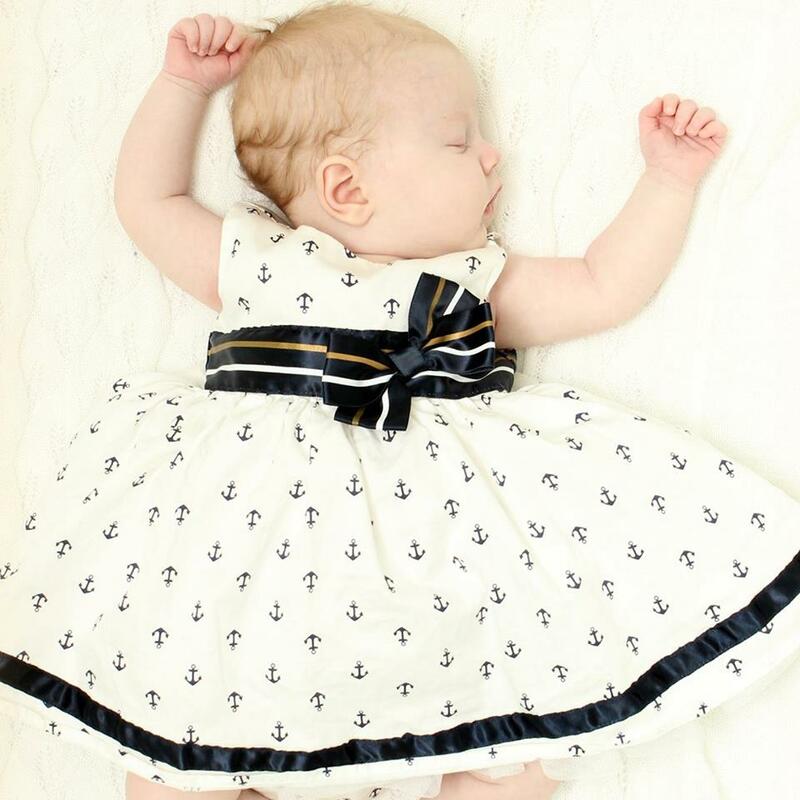 For those that have been waiting for this post for over a year, I apologize, but sometimes life gets in the way, especially when it involves the birth and first few months of life of a perfect baby girl! Regardless, I hope you enjoy! Here in the United States, winter is nigh upon us. There is an El Niño that is expected to bring cooler and wetter temperatures to the lower half of the country, and warmer temperatures (relatively) for the upper tier of the country. As I try to wrap this post up, there is a massive blizzard walloping the Mid-Atlantic coast, expected to dump 2 + feet of snow in the Northern Virginia and DC area. Luckily, a well built tiny house provides a cozy, comfortable shelter from the elements, and is extremely cheap to heat. Unlike McMansions, where you can have central heat and air units equivalent in capacity to those needed for a mid-rise office building, tiny houses by virtue of their smallness, need less fuel, and thus less money, to keep warm. In this post, I will do my best to help you figure out your own path to staying warm in your tiny house. For those that don’t feel like following the link, I will briefly summarize: Snowy conditions do a great job of showing which houses have poor insulation in their roofs. If a house has a solid, even blanket of snow, it is well insulated. 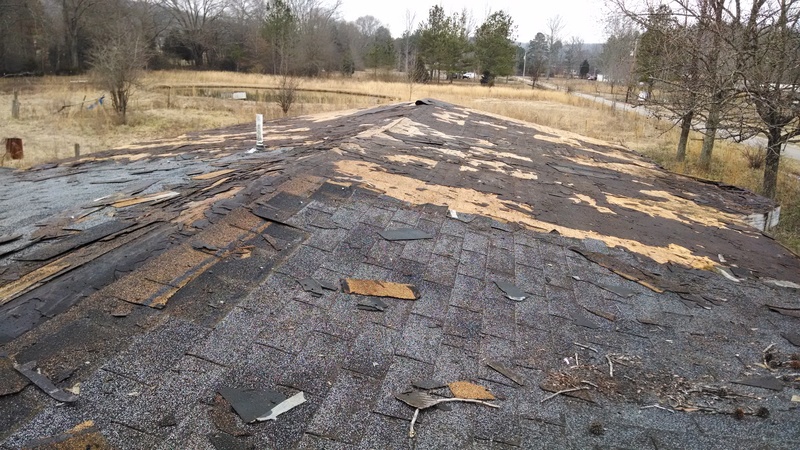 If on the other hand, it has bare spots or even looks like the image above, that is a clear indication that there is little to no roof insulation present, and all of the heat in the house is escaping through the roof. 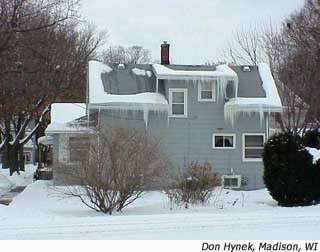 The snow and ice at the edges of the roof are ice dams, which is where the melted snow refreezes once it hits a portion of the roof that is not over the uninsulated living / attic space, whichh will ruin your roof, and pose a hazard to people walking below if some of the ice breaks loose and falls. Aside from the aesthetics (looks) of a tiny house, insulation is one of the factors that sets a tiny house apart from RVs. A typical RV wall looks like the one to the left. 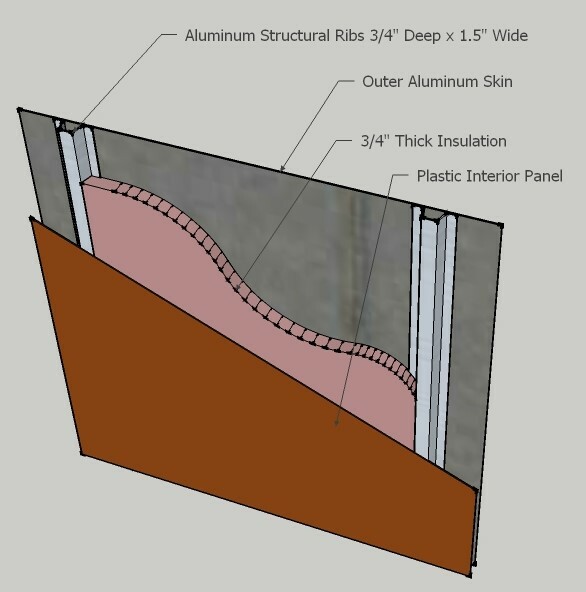 From the outside skin to the inside, you have an outside skin made of aluminum panels, 3/4″ insulation (either spray or foil faced cellular), and an inside plastic interior panel. Total R value of around R5 to R6, if you are lucky. Rather than worry too much about how well insulated the RV is, the manufacturers try to minimize weight and expect the heating and / or air conditioning system to be over-sized to compensate. A typical tiny house wall is built and insulated like a normal wood construction house wall. From the outside in, you have Siding, building wrap, sheathing, insulation, then drywall or paneling. The depth of the insulation is typically 3 1/2″ inches, and the Total R value ends up being between R15 and R20 when using 2 x 4 lumber. Higher values can be achieved with use of more advanced building systems such as Structurally Insulated Panels (SIPS) and the like, but regardless, normal wood frame construction is at least 3 to 4 times more insulated than typical RV construction. So, to recap the above, ensure that your tiny home is properly insulated, to include the roof. This is the first step in ensuring that your home is warm and cozy during the cold winter months. There are two broad categories of methods that can be used to heat your tiny house. Active and Passive. Active heating is what the majority of us are used to: a heating source that uses fuel of some sort that is consumed to generate heat. This can be a wood stove, an electric heater,a gas heater, or even a boiler of some sort providing hot water to a radiator. Passive heating is a heating source that uses the warmth of the sun to heat your abode. It can range from just having windows that face the sun, to some sort of solar collector that captures the energy from the sun and converts it into heat used to heat water which is then piped into and used to heat the house using either radiators or under floor hydronic radiant heating, or a simple heat exchanger with a fan used to heat the air. The defining characteristic is that the heat used to heat the house is captured from the sun. 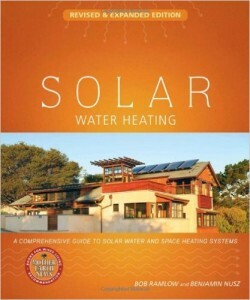 I will not delve into how to design a passive heating system with this post, but if you want to find out more, I recommend “Solar Water Heating–Revised & Expanded Edition: A Comprehensive Guide to Solar Water and Space Heating Systems” by Bob Ramlow. It delves into how the systems work and how to maximize the sun’s energy to heat water and your home. Active heating systems are what most people think of when you start talking heating. I will further subdivide the category into what I will call “Direct” and “Indirect” systems. A Direct Active System is one where the heating of the house occurs as a direct result of burning fuel of some sort (or in the case of an electric heater, heating up an element). 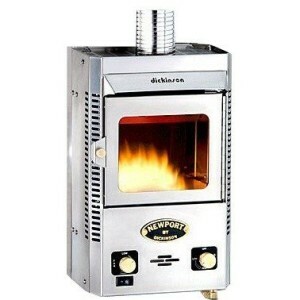 This can be a wood stove, a propane heater, or an electric space heater. 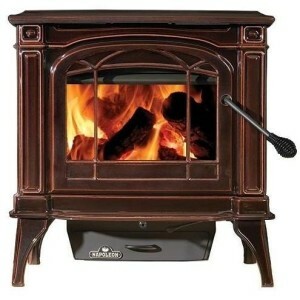 Wood stoves are what many people think of when they think “rustic cabin heat”. 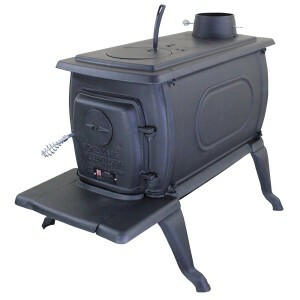 Whether it is a box style cook stove or a pot belly stove, these are American classics. Unfortunately, they tend to be polluting, as they do not burn the wood completely. helps to ensure that the fuel combusts fully. Aside from polluting less, it also makes the stove more fuel efficient, producing more heat with less fuel. This is not that important at the beginning of winter, when you have a full store of firewood laid aside, but will gain increasing importance as the heating season wears on, and your wood pile dwindles. The key is to look for an EPA certified stove. 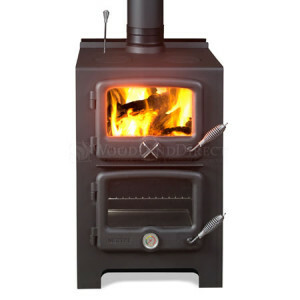 Of course, if you are contemplating using a wood stove in a tiny home, you will appreciate multiple functions. In addition to heating, the stove to the right is a cook stove and includes a small oven. There is even an optional water heater attachment available for the stove. that meters the pellets into the firebox at an optimum rate for maximum efficiency. A full hopper load can often last for up to a day or more of continuous burning time. 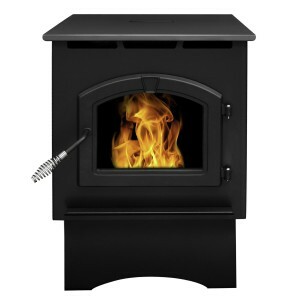 The drawback to pellet stoves however is that they will only use wood pellets, so if you run out, you have to purchase more pellets. Cutting down a tree to feed it is not an option. Just like with larger houses, gas heat is a good option, especially if you plan to use gas to cook as well. There are two forms commonly available, natural gas and propane. Natural gas is the gas provided by your utility through a buried hard line. To connect to the system, you have to of course set up an account with the gas company, and have any connection to their system made in accordance with the National Gas Code by a licensed tradesman, and the connection will be inspected by the gas company prior to their approving the connection. The more common option for tiny houses is Propane. This is because of the portable nature of it, as it is supplied in refillable bottles, ranging from the 15 or 20 pound bottles used for your gas barbeque grill, to 200+ pound tanks set up semi permanently by the gas company. 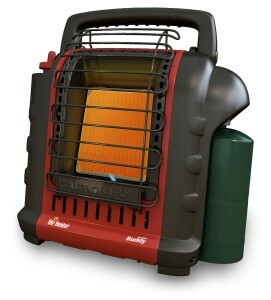 The smallest and least efficient version of a gas heater is the common camp heater. These small, portable heaters are designed to be hooked up to a camp bottle of propane, but can be easily adapted to hook into a larger bottle or tank. Many people opt for heating technology used by the boating community. Manufacturers such as Dickenson Marine have been making high quality, stainless steel heaters and appliances for the marine market since the 1930’s. These are extremely high quality, designed for mobile applications, and for tougher environments than most tiny houses will ever see. 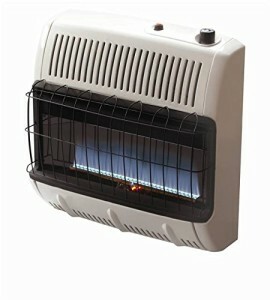 Another option is the blue flame, vent-less propane wall heaters that are common (at least in the South) in rural areas. These work by the flame heating up a ceramic brick, which actually provides the heat radiantly to the space. These are an valid option, but be aware that they release water vapor into the living space, which may not be a good option for a tiny house, especially since most tiny houses are very air tight. This can cause condensation issues inside the house, and ultimately could cause rot. Electric heat is an option for many tiny houses, especially if they do not plan to use gas for cooking. Options range from the inefficient resistant radiant heaters, to more efficient ceramic heaters, to the most efficient quartz infrared heaters. However, be aware that electric heat is typically the most inefficient option available. Electric coil heaters work essentially by running an electric current through a thick wire, which heats up due to resistance. A reflector placed behind the heating elements helps to reflect the heat out into the space. They are rated by the number of Watts they require to operate, and are typically used as personal space heaters, due to the power requirements. Ceramic style electric heaters work similarly, except that the heat generated heats up a ceramic element, while a built-in fan blows air across the element heating the space. Again, the size is typically limited by the power draw of the heater. 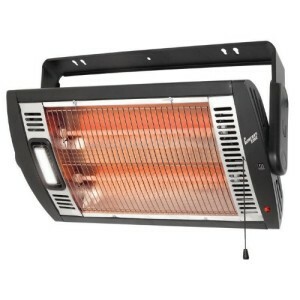 Infrared heaters work by heating an element that gives off infrared rays rather than just heat. You probably have encountered them at the entrance to big box stores, where all of a sudden you feel warms on your skin, despite the coolness of the surrounding air. These work by heating the surfaces that the infrared rays hit, not by heating the air itself, which makes them more of a spot heater than an area heater. However, you could aim the heater at a stone or ceramic surface, such as a counter top. This would heat up the surface, which would then heat the air in the space. There are cabinet style and table top style infrared heaters available as well, which look a bit more subdued, but work the same way. Another option is to use a kerosene heater. Kerosene is an oil distillate, similar in its heat of combustion to diesel fuel. It is one of the oldest forms of oil product used for heat and light, having been written about by the Persians in the 9th Century. It can be derived from crude oil or coal, but ultimately, it is useful as a heating fuel that can do double duty as a light source if you have a kerosene lantern, albeit a dangerous one: In 1880, close to 40% of all fires in New York City were due to faulty kerosene lanterns, not to mention, a kerosene lantern is THE way to start a barn fire if movies and TV are to be believed. As a result of the safety issues, many states and jurisdictions have banned the use of kerosene heaters for residential use. 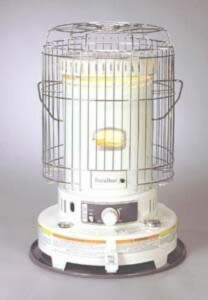 However, with proper care in the storage of the fuel, in refueling the heater, the care and maintenance of the heater, and in the operation of the heater, a kerosene heater is definitely a viable heat source, where available, that can do double duty as a stove in a pinch by heating food in a pot placed atop the safety cage (though the manufacturers advise against such use). An Indirect Active System is one where the heating of the house occurs through an indirect method, where the heat from the burning of the fuel is captured in some fashion and sent to the living space via a transport medium of some sort such as refrigerant, water, or even air, where the heat is then pulled out of the transport medium and used to heat a space. 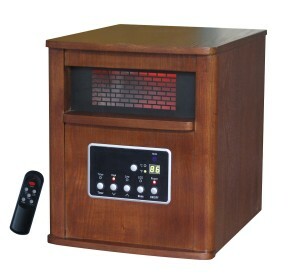 Many would consider this type of heater to be a direct active system, as you plug it in, it heats up, and you have heat for your room, all from one relatively compact unit. 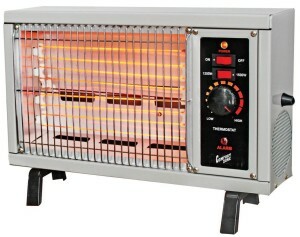 However, this heater is definitely an Indirect heater, as I will explain. 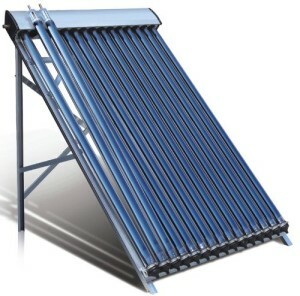 An electric oil filled radiator consists of a metal container filled with some sort of oil (usually mineral oil) with an electric heating element immersed in the oil. It works by the heating element heating the oil up which then releases the heat through the metal container to heat the air. 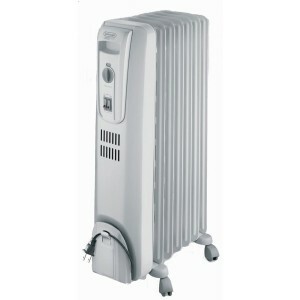 These heaters are actually more efficient than the smaller electric space heaters, as they do not require a fan to blow air across the heating element. Instead, they rely on the natural convection of air in a space, along with the heat retention capacity of the oil to get by with a smaller heating element for the same effective BTUs. A mini-spit system is a heat pump sized for a single room or small house. These were covered in my tiny house cooling systems post, but I mention them here because, like the heat pump system in a larger house, they can be essentially run in reverse to dump heat into a space as opposed to pulling it out of a space. This double function from one unit is very appealing in a tiny house, as it keeps you from having to buy a separate heating and cooling solution. 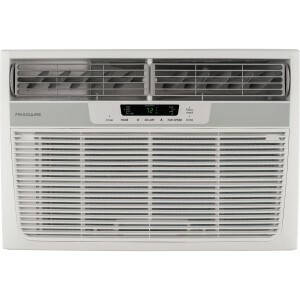 Again, window units were covered in my tiny house cooling systems post, however I mention them here as some versions do have a heat option on them. 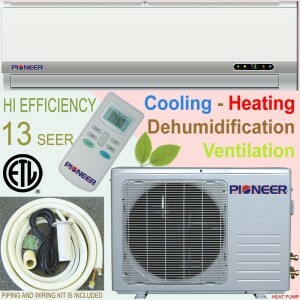 the lower end versions essentially have an electric heating element in them making them just a glorified electric heater, while the higher end versions are heat pumps and can be reversed to pump heat into a space rather than pulling it out. Honestly, I recommend against the version with the electric heating element, as for the price, you can get a better air conditioner and a better electric heater. But the shown heat pump version is decent. One option that many tiny housers have not considered is the use of hot water to heat their houses. Traditionally, these were used in large houses and buildings that had a boiler in the basement. 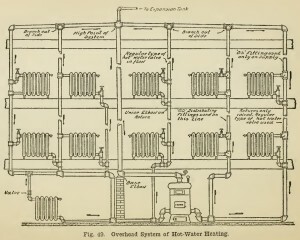 The boiler heated up the water, typically turning it into steam, which it then distributed to radiators throughout the building. The radiators transferred heat from the steam into the rooms, and in the process condensed the steam back into water, which was routed back to the boiler to start the process all over again. This system can also be modified to use hot water instead of steam. A form of this concept has been used in the modern era for radiant floor heating. 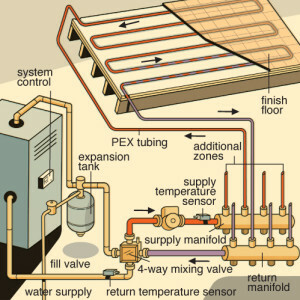 The water is heated by a boiler, and mixed with the cooled return water before being sent through loops of tubing beneath the floor of a house. Unlike a forced air heating system, which heats air (which is a poor medium for transferring heat) and then blows it into the space, a hydronic system heats the floor surfaces in the space, which then radiate the heat outward, heating the space and occupants. This also keeps the heat down where it is needed, as opposed to fighting against the natural propensity for hot air to rise. Either of these systems can be adapted to a tiny house, with a little out of the box thinking. If you are using a tank style water heater, you can use that in lieu of the boiler in either of the systems above. This is only possible because tiny houses are, well, tiny. The boiler based systems are sized to heat an entire house or building, whereas the heating requirements of a tiny house can typically be handled by a small hot water heater. It is especially efficient if rather than using electricity or gas to heat the water, you use a hot water solar collector to heat the water, as a the sun can provide all of the heat you need, and then some. Consult a professional with experience with sizing hydronic heating systems for more information. From experience, I know that having some form of backup heat available is always good to have. You may run out of fuel for your heater, or the electricity may go out from where a limb fell on a line somewhere. As such, I always recommend that people have some sort of alternative heat available to them. It doesn’t need to be capable of replacing your primary source of heat BTU for BTU, rather it merely needs to be capable of keeping your plumbing (and you) from freezing on the coldest night of the year. As such, I recommend that people figure out what sort of alternative heat source meets their needs, both heat wise and storage space wise. Ultimately, you do not want to have to resort to turning your oven / stove burners on to provide emergency heat. It is dangerous, wasteful, and quite honestly only marginally effective. I hope the above discussion has provided the needed fuel to power your decision as to what sort of heat you will use in your tiny house, and above all, serves to keep you cozy and warm. Amazon has what they term their Gold Box Deals, which is where they offer items for an additional discount off the (normally) already discounted prices. Most of the time, it is for items that I have no use for: kids sporting equipment, iPhone cases, pet play pens. But every now and then, they have a gold nugget amongst the massive quantities of pyrite aka fool’s gold. The Samto 3D Printing Pen with 1.75mm ABS Filament and LCD Screen Ver.2015 Purple for 3D Drawing is one such nugget. 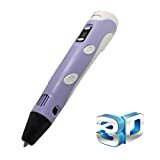 The Samto 3D Printing pen that I am linking to has 4 out of 5 stars and is normally $69.99 on Amazon (note: the price you see may vary, as Amazon uses dynamic pricing for every visitor, and can and will change prices from day to day on an item). For a limited time only though, it is priced at a discount at $55.99! For regular Amazon shoppers, you have to wait until 6:10 CST to have a chance at the Gold Box pricing. This blog is a sponsored blog created or supported by a company (Ridge Runner Tiny Homes), organization or group of organizations. This blog does not accept any form of cash advertising, sponsorship, or paid topic insertions. However, we will and do accept and keep free products, services, travel, event tickets, and other forms of compensation from companies and organizations. This blog does not contain any content which might present a conflict of interest. We are employed by or consult with: Ridge Runner Tiny Homes; S-W Architecture, & The U.S. Army Corps of Engineers. We serve on the following corporate or non profit boards: North Alabama Chapter of the American Institute of Architects. In the event that a manufacturer or company requests and provides some sort of compensation for coverage of their product or service, the situation to include compensation provided will be clearly and prominently disclosed at the top of the post in question. However, even though the owner of this blog might at some point receive compensation for our posts or advertisements, we will always give our honest opinions, findings, beliefs, or experiences on those topics or products. The views and opinions expressed on this blog are purely the bloggers’ own. Any product claim, statistic, quote or other representation about a product or service should be verified with the manufacturer, provider or party in question. Another City floats idea of Tiny House Ordinance, but gets it wrong. Rockledge, FL gets it right! Making the rounds this morning is the news that the City of Seneca, Missouri, located about an hour and 20 minutes Southwest of Springfield at the Oklahoma state line, is proposing enacting a tiny house ordinance that is being championed by a local insurance agency owner, Eric Lofland. The tiny house community is of course enthused, but before people hook up and move, they need to understand what is going on. City leaders say the guidelines are needed to prevent people from setting up sheds or mobile units to live in that the current ordinance doesn’t allow. “We don’t want something that looks terrible. We don’t want something that’s going to fall down in 10 years. We want a good, well built house. We want people to be proud to own one. And we want the neighbors to be proud to live next door to one,” said Vance. In other words, lets not be hasty here folks! This is some newfangled fad, and if you open the door to this, there is no telling what sort of undesirables may flood the place! People will be putting up shacks and turning the place into a homeless camp! Now, reading the snarky commentary above, you may think that I am among those who feel that regulation of tiny homes is a bad thing. To the contrary, I think regulation of tiny homes is a good thing, to protect the health, safety, and welfare of the tiny house denizens. 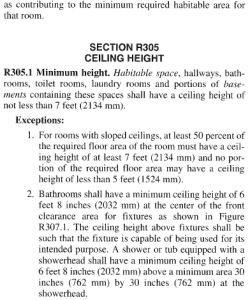 BUT, the regulations need to be written such that they encompass not only site built tiny homes, but also tiny houses on wheels, and not just commercially built / purchased ones, but also those built by the owners. Building codes in the United States were developed to protect the health, safety, and welfare of the building occupants. They are are a result of the tragedies incurred by the deplorable condition of the slums and factories of the late 1800’s – early 1900’s, and serve to set minimum standards that all buildings must be designed to meet, by building and use. Developed organically by different regional regulatory authorities to meet the needs of the states within their respective regions, the three major code developing organizations recognized the need for a unified, nationwide code and came together to form a consensus code combining the best of all three legacy codes. This unified code is known as the International Building Code and covers all buildings other than 1 and 2 story residential structures aka houses. Houses are covered in the International Residential Code. Although there later versions have some requirements that I believe are overkill, the ultimate goal of the code is to ensure that in the event of an emergency (such as a fire, earthquake, wind storm, etc.) the occupants are able to survive. This is a good thing. 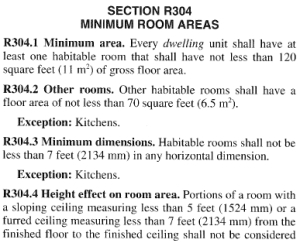 And as I explained in a previous post, the current form of the International Residential Code is tiny house friendly. Where some people get confused however, is that there is another form of regulation that towns and cities put in place for buildings, and that is zoning. Zoning regulations are designed to allow a jurisdiction to control what is built, how, and where. They were first enacted in New York City as a reaction to the increasing number of tall buildings being built in the early 20th century, along with the encroachment of factories and industrial uses into incompatible residential and commercial neighborhoods. They are typically found in towns, cities, and more populated counties. At their worst, Zoning Regulations codify NIMBY-ism (Not In My Back Yard) and serve to keep undesirables out of town. Most tiny housers run afoul of zoning regulations, as tiny houses fall into a grey area not normally address by the regulations. 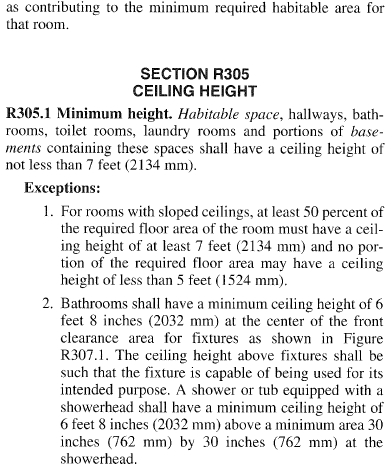 As such, the enforcing agency typically states that tiny houses are not allowed. Some classify them as RVs, which are typically forbidden from being used as permanent residences. Others classify them as mobile homes, and forces them into mobile home parks only, if allowed at all. 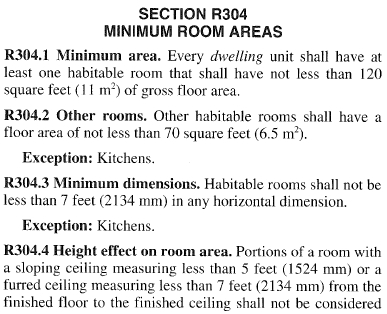 Regardless, it is the zoning regulations that need to be made tiny house friendly. Many jurisdictions categorize tiny houses as Accessory Dwelling Units (ADUs) and regulate them in that manner. An ADU is typically defined as a secondary residence on a property within a residential area, or in laymen’s terms, a second, smaller house or apartment on a building lot. These traditionally included servant’s quarters turned rental units, such as carriage houses or garage apartments, or even a servant’s house behind the main house. Most jurisdictions that allow tiny houses as ADUs require that they be built or mounted to a foundation, and have connections to the city’s water, electrical, and sewer systems. This by definition outlaws Tiny Houses on Wheels (THOW) in these jurisdictions. Some locales have modified their laws to allow THOWs as ADUs, but regardless, the tiny house is not allowed to be the primary residence on a property. However there are a few forward looking communities that have specifically addressed tiny houses within its zoning regulations, to include THOW. These communities have realized that not everybody’s idea of the American Dream involves a 5,000 s.f. McMansion on a quarter acre lot. Rockledge, Florida, just south east of Cape Canaveral, is one of these forward thinking communities. Rene’ Hardee, head of the Florida Chapter of the American Tiny House Association, has worked with them to enact a model zoning code for tiny houses that not only includes THOW, but also pocket communities of tiny houses within residential neighborhoods. Her post on Tiny House Talk; How Do I Get Zoning Passed for Tiny Houses in my Area? is an excellent primer on how to approach your local officials on modifying their Zoning regulations. A copy of the Rockledge Tiny House Model Codes can be found here. If you are serious about working with your local jurisdiction on getting Tiny Houses legalized, the American Tiny House Association can help! 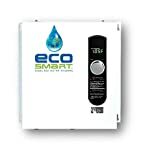 In case you were not aware, Amazon is running a Gold Box sale on the EcoSmart 27KW Electric Tankless Water Heaters. 37% off is not chump change! If you have (or plan to have) less than a 200 Amp electrical panel for your tiny home, this unit is not for you. If you (plan to) travel and hook up at RV parks, where you will have either a 30 Amp or 50 Amp connection to the grid, this unit is not for you. If you plan to run your electrical off of solar panels, this unit is not for you. However, if you live in a grid connected tiny house (or a grid connected larger house but are dreaming of tiny houses), and you have (3) 40 Amp 240V circuits available, and use low flow restrictors in your faucets, showers, and baths this unit may be for you. I highly recommend reading the reviews on this unit, and especially the one titled “ECO27 Details and Conversion to Boiler Mode – In Depth” as he does a good job on explaining the relationship between the temperature change (ΔT) this unit will provide and water flow. (Hint: the lower the flow the wider range between the input and output temperatures; the higher the flow, the smaller the range between input and output temperatures). Anyways, if you are in the market for an Electric tankless water heater, this is a good deal on a quality unit. Sorry for the radio silence. There has been a LOT of stuff going on behind the scenes that has affected my plans for rolling out Ridge Runner Tiny Homes. Some I can share with you, others I can not (yet!). The plan to build a shop and start building tiny homes for sale is on an indefinite hold. Earlier this year, a VERY trusted colleague of mine approached me regarding partnering up with him to start a new architectural firm focused primarily on non-residential architecture and building energy auditing and consulting services. After some negotiations, I am please to announce that it is a go, and we are in the process of forming S-W Architecture. As you can expect, the founding of a new firm has been time consuming. Not to mention, I have the cutest 4 1/2 month old little girl at home up a lot of my time as well. I also am working with my partner on some materials research that, if it pans out, could mean a new type of wall construction for tiny and full size) houses that is cheaper, lighter, and quicker than stick framing. If so, then we WILL begin to construct tiny homes as a showcase for the new wall technology. I promise I will do a better job of updating this blog, along with that of the new firm, once it is launched. I will also start doing posts about nearby tiny home builders that I think are doing a great job. Stay tuned!